Dissection of the aorta (YES, aortic dissection) is a rupture of the inner lining of the aorta, the largest artery in the human body. This stratification allows the blood to flow between the layers of the vessel, rather than remain in the central canal (lumen). 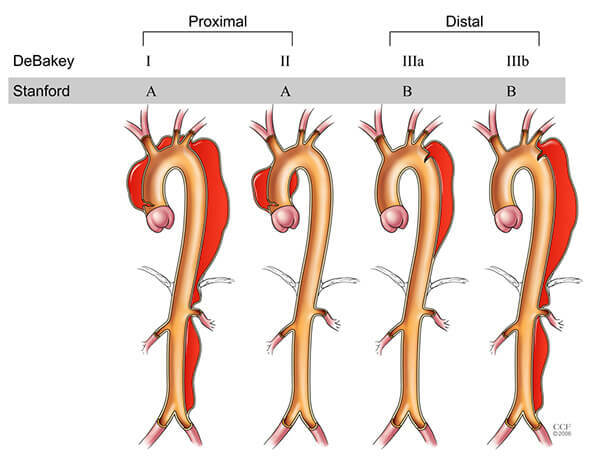 The two main types of dissection of the aorta A and B are determined by the localization of the bundle. The main danger of dissection of the aorta is that the risk of rupture of the vessel sharply increases with subsequent massive bleeding. In such cases, 90% of patients die. As the dissection of the aorta develops, treatment should be initiated as early as possible. Before this, a diagnosis is carried out, including radiography, electrocardiography, angiography. It may also be necessary to take general and biochemical blood tests, especially if surgical intervention is planned. The aorta is one of the large vessels of a person, through which arterial blood, saturated with oxygen, from the left ventricle enters all organs and tissues, with the exception of the lungs. Since the walls of the aorta even in the norm constantly experience blood pressure with an average value of 100 mm Hg. At the influence of various pathological factors, the structure of the vessel may be disrupted. The aorta wall consists of three layers, which from the middle to the outside have corresponding names - intima, media and adventitia. In the beginning, only the intima is damaged. 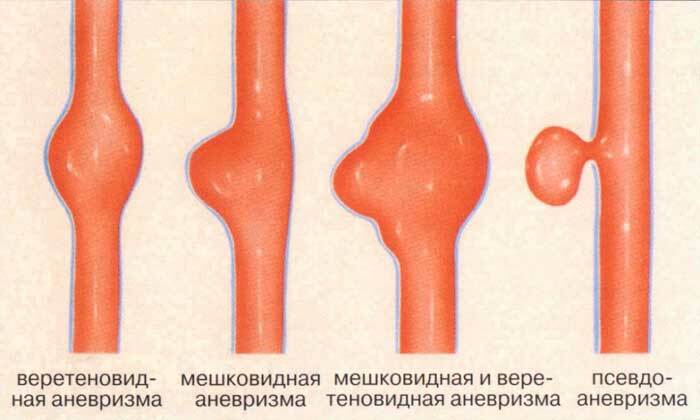 Pathological formation can be quite insignificant, but because of the high pressure in the vessel, the intima is gradually destroyed and when the damage reaches the medial layer, the blood begins to spread in the middle layer of the vessel, facilitating its delamination. If at this stage there is no medical assistance, a complete rupture of the aorta and instantaneous death of the patient may occur. Type A - the bundle begins in the aortic ascension area, which either remains in the same area, or extends to the arc and the descending part of the vessel. Type B - the bundle is located only on the descending aorta (from the subclavian artery and below), but can extend to the abdominal part of the vessel. Taking into account the differences between these two types is extremely important, as it allows for more effective treatment of the disease. Type A requires immediate surgery to prevent death from stroke, a heart attack, congestive heart failure, or bleeding. The B type delamination is considered not an urgent condition, which can initially be treated with an enhanced control of blood pressure. Additional procedures, as a rule, supplement to protect the patient from complications arising from the rupture. Dissection of the aorta is most often a complication of another disease, although in some cases, occurring much less often, it can be determined in isolated form. Aortic dissection can also lead to atherosclerosis, syphilis, congenital malformations of the vessel, various stresses (emotional and physical), trauma to the chest or abdominal cavity. Dissection of the aorta is a more common problem than aortic rupture or aneurysm. Two population-based studies reported data in 2.9 and 3.5 acute aortic stratification per 100,000 people. YES is more common in men than in women, with a ratio of 5: 1. Type B patients are usually 10 years older than type A patients, with a peak frequency of 60 to 70 years for type B and 50 to 60 years for type A. Hypertension is present in approximately 75% of patients with type B. Pain is the most common symptom of YES, as it is determined in about 95% of patients and is usually associated with a sudden onset. Abrupt aortic dissection is an extremely lethal variant of the course of the disease, as it is difficult to recognize and often not treated properly. Approximately 20% of patients with acute dissection of the aorta die at the pre-hospital stage. Mortality in the absence of treatment stratification is about 25% in about 6 hours and 50% after 24 hours. Within 1 week, two-thirds of patients die if left untreated. Of these deaths, 75% falls on the first 2 weeks.Consequently, an arbitrary difference in acute dissection is less than 14 days, and chronic ruptures occur in patients after 2 weeks. The rule of thumb for aortic dissection is that the mortality rate is approximately 1% per hour for acute disease. Despite the improvement of surgical, anesthetic, interventional and medical methods, the death rate of patients receiving treatment remains high. According to the International Register of Aortic Dissection (IRAD), a global registry of 21 centers with consecutive patients, nosocomial mortality in all cases of aortic rupture is 27%. Mortality and morbidity vary significantly with type A and B dissections and depend on the type of therapy and medical co-morbidities. Patients in the treatment of YES of type A from a medical point of view are subject to mortality in 58% of cases, whereas mortality in surgical therapy of type A stratification is 26%. Type A is more life-threatening form of YES than type B. These patients die from pericardial tamponade, aortic rupture, aortic valve dysfunction, or coronary artery malperfusion. Patients who have a syncope are more likely to have type A than type B. In such cases, syncope is associated with cardiac tamponade, stroke, or death. In contrast, mortality for dissection of aortic type B initially ranges from 10 to 12% for patients who can receive medical treatment. Surgical or endovascular therapy is indicated in complications of DA, including progressive pain and expansion of the site of dissection, rupture and compromise of perfusion of limbs or organs. Patients with complications that require intervention have a higher mortality rate of at least 30%. 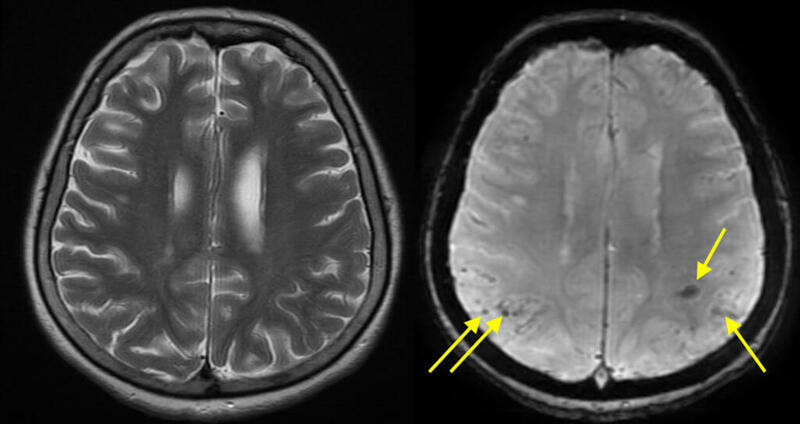 The classical triad of signs makes it possible to establish a diagnosis. In the presence of all three symptoms, a 100% probability is noted. If there are only some manifestations, then there is a greater or lesser probability. Severe sharp onset of tearing or tearing pain in the chest, which can be transmitted to the back. Deficiency or pulse difference on the upper limbs, also different blood pressure> 20 mm Hg can be determined. Expansion of the mediastinum with chest radiography. Inability to occupy a comfortable position. Feeling of doom (extreme anxiety). The detection of aortic dissection can be complicated, because the same symptoms occur in combination with many other health problems. Aortic dissection is often mistakenly diagnosed in the intensive care unit as a heart attack.However, operational diagnosis is necessary: Type A ruptures are surgical emergencies, whose mortality rate is almost two percent per hour after the onset. The diagnosis can be made by computed tomography of the chest and / or transesophageal echocardiography (TE echocardiography or ultrasound images of the heart made from the esophagus). If there is a suspicion of aortic dissection of type A, the patient is transported from the emergency room or the community site directly to the operating room to confirm the diagnosis via the TE echocardiography. If there is evidence of aortic dissection of type A, surgical intervention is performed immediately. The method is as effective as transesophageal echocardiography or MRI. Specificity of the test: low (undiagnostic). Previously, it was noted that determining the type of dissection of the aorta is extremely important for choosing a treatment strategy. Now, more precise principles of therapy will be considered in each case separately. Type A YES is an emergency situation that requires rapid diagnosis and surgical intervention. Modern medical centers usually provide immediate sorting, direct transfer to the operating room, stabilization of the patient's condition and final reconstruction using innovative procedures, including operations, stents and transcatheter valves. Perform surgery surgeons and cardiologists as part of a multidisciplinary team, which allows for excellent results and 100% long-term follow-up. In the treatment of patients with type A stratification, antegrade selective perfusion is used to provide enhanced brain protection. Replacement of spare root valves can be performed for the purpose of reconstructing the entire ascending aorta, which makes it possible not to leave residual dissection unnoticed.Operational mortality in such centers, as a rule, is less than 3%. Traditional therapy for aortic dissection of type B is an aggressive control of blood pressure, which prevents the progression of DA and rupture of the vessel. Surgery is usually designed for patients with complications, including malperfusion or hemorrhage syndrome. Open surgical reconstruction is often associated with unacceptably high risk of paralysis, lung dysfunction and fatal hemorrhage. Medical therapy (blood pressure and pain relief) provides palliative care, but does not protect the patient from the later development of large aneurysms, kidney dysfunction and death from aortic complications. 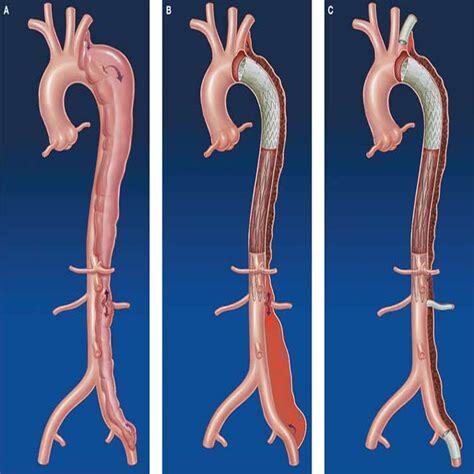 Endovascular stent transplantation, often used as aortic aneurysm therapy, is a minimally invasive intervention to reconstruct the vascular lesions and is today often used to treat dissection of the aortic type B. Today, the aortic surgery program is under way, participating in two trials aimed at comparing endovascular recovery with drug exposure .Depending on the indications, patients are selected metal stents from the four existing species. They all have tissue coverage: the Medtronic Talent ™ stent graft, the GORE TAG® endoprosthesis (for the descending part of the thoracic aorta), the graft of the Medical Medical TX2 and the medical transplant Bolton Medical. The devices are inserted through a catheter into the vessel and close the aortic dissection site, which effectively redirects the blood flow. Patients who are implanted with stents also receive the maximum medication. Hemorrhage: aortic rupture, which is accompanied by excessive loss of blood. Aortic valve failure: loose closure of the aortic valve, leading to rapidly developing heart failure. Stratification of the coronary artery: insufficient blood flow through the coronary arteries to the heart muscle, which causes a heart attack (myocardial infarction). Cardiac tamponade: accumulation of blood in the pericardium (pericardial sac), which leads to the inability of the heart to pump blood. 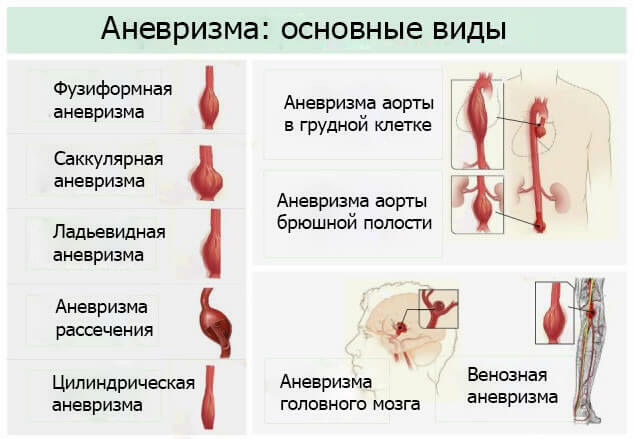 Stroke: a violation of blood flow in the brain, which can lead to death or disability. 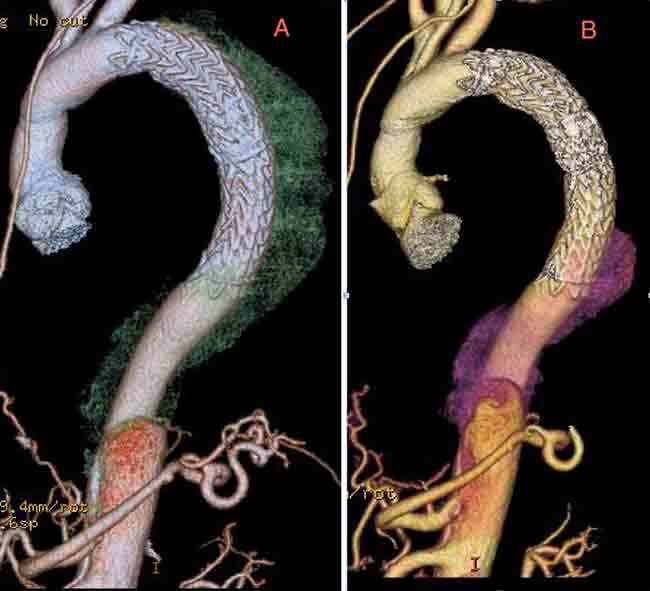 Aortic dissection can also cause a process known as malperfusion syndrome. As the blood flows in the walls of the aorta, and not through the vessel, an insufficient amount of blood reaches its destination. This condition can contribute to the dysfunction of internal organs, most often the first to suffer from kidney and intestines. As a result, temporary or permanent renal failure and intestinal damage develop, which may require extensive resection. Dissection of the aorta is associated with high mortality: even under ideal conditions, a death rate of 27% can occur. Mortality increases by 1-3% per hour from the onset of the disease (the first 48 hours). Mortality with drug therapy reaches 50%. Mortality in surgical treatment varies from 7-36%, depending on the course of the disease and the presence of complications. In distal aortic dissection (type B), an unfavorable prognosis with a fatal outcome in 10% of cases is most often given.